A Big Congratulations to all the winners, please do not forget to leave your acceptance speech and thank you everyone. Thank you everyone for getting behind Nepaliaustralian Blog Award 2017 and nominating your favourites blogs. I am so glad to have found some wonderful blogs in the process. Winner will be announced in Feb 2018. Nepaliaustralian’s Blog Awards celebrates the best in blogging with 8 winners being announced at Jan 2018. Any pages with dated entries that existed at some point during the year 2017 are eligible. Nominations close on 10 December 2017. After nominations close, I will post the top 5 blogs in each category and you can vote for them. The Blog Award will be announced in Jan 2018. 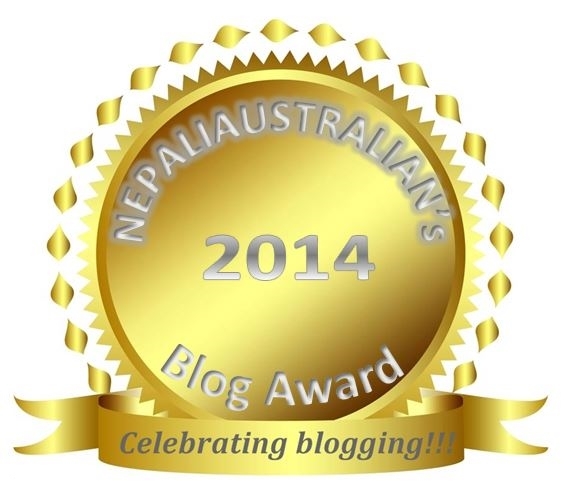 First of all, sorry for delay in the announcement of the blog award. As you all know, I was away on holiday and it was hard to blog with everything going around me. I would like to say a big thank you to all the bloggers and voters who participated in NEPALIAUSTRALIAN’s Blog Award 2016. I am so happy to see so many of you voting and making this award bigger than ever. I am also thrilled by the way everyone came together to celebrate and support the talented individuals who spend so many hours behind the scenes creating the blogs we all love to read. I have to let the bloggers know that you have some amazing supporters who voted for you. 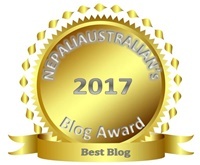 Without further delay, I am more than pleased to announce the winners of the NEPALIAUSTRALIAN’s Blog Award 2016. Good luck to everyone who has been nominated. 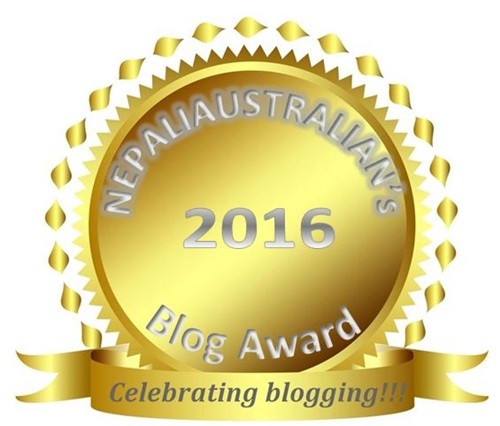 Below are the award winners in each category of the NEPALIAUSTRALIAN’s Blog Award 2016. 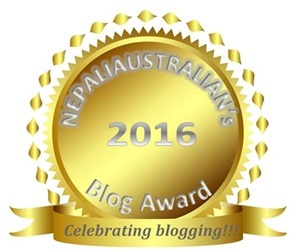 Thank you everyone for getting behind Nepaliaustralian Blog Award 2016 and nominating your favourites blogs. So now the nomination has closed and it’s time to vote for your favourite blogs to win the title. Winner will be announced in Feb 2017. First all of big congratulations on nomination. Please write a post in your blog about this award or reblog this post so your readers can vote for you. There are buttons at the end of this post for you to share or you can use the link below. To all the nominees First all of big congratulations on nomination. Please write a post in your blog about this award or re-blog this post so your readers can vote for you. There are buttons at the end of this post for you to share or you can use the link below. Good luck everyone and have a great week!!! Like very year, I am hosting Nepaliaustralian’s Blog Award. Nepaliaustralian’s Blog Awards celebrates the best in blogging with 8 winners being announced at Jan 2017. Any pages with dated entries that existed at some point during the year 2016 are eligible. Nominations close on 10 December 2016. After nominations close, I will post the top 5 blogs in each category and you can vote for them. 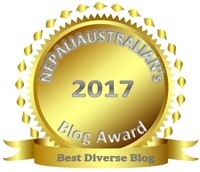 The Blog Award will be announced in Jan 2017.